Donor organs are a ‘scarce resource’ in SA. Thousands of people wait for transplants. Only 1/5 might receive them. The rest of these patients die. Research that proposes to make use of limited donor organs for experimental treatments needs to be carefully justified. We considered this challenge when laying the ethics and regulatory foundation for a new transplant programme. Our main arguments are published in this recent academic article. Colorectal cancer affects intestines and bowel. But sometimes the cancer can spread. If it spreads treatment becomes more complicated. Colorectal cancer can spread to the liver and in these cases chemotherapy doesn’t necessarily have a good success rate. It may also be impossible to actually remove the damaged parts of the liver surgically. So there may be a role for liver transplant, where the diseased liver is removed and replaced with a healthy liver from an organ donor. However, this treatment is not considered standard of care – which means that it would not routinely be offered to patients. It is still experimental. 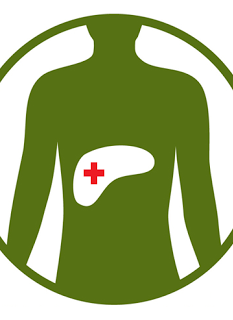 But liver transplants might be better than chemo in patients with colorectal cancer that has spread to the liver, as a group of Norwegian researchers have shown. Because liver transplant is not usually indicated  for colorectal cancer patients, the Norwegian team had to justify their decision to give liver transplants to them. The justification was a surplus of donor livers in Norway. In SA we don’t have a surplus of donor livers, we actually have a shortage. Because donor livers are so rare, our Human Research Ethics Committee (discussed here) decided that it was only fair to give colorectal cancer patients (who met the criteria) liver transplants if no other patient waiting for a donor liver was disadvantaged. Patients with colorectal cancer who need a liver transplant, and meet the strict eligibility requirements to access it, can only get a ‘marginal’ liver through the programme. A marginal liver is one that wouldn’t usually be used for transplant purposes because it might not work as well as a healthy liver. Using a marginal liver was deemed a good compromise, as colorectal cancer patients should still do quite well, and no other patient would lose out. We also decided that listed patients with recognised indications for liver transplant had to be prioritised. This meant that any donor liver for a patient with colorectal cancer needed to be refused by all other liver transplant hospitals in SA before it is given to a colorectal cancer patient. The decisions made for this research may not sit comfortably with everyone. There are a number of other issues that aren’t related to this research, but to transplant in general, that also come in to play. You can read about them here if you are feeling mentally agile. The fact of the matter is that we can only improve patient care and the way we treat diseases by researching them. So, although donor organs are very scarce in SA, we have to start somewhere. Please see this article for much more detail about this programme, including the inclusion and exclusion criteria for such research studies, and more detail and justification about how certain decisions were made. Indicated means that if a person has a particular disease, a specific treatment may be advised because we have good reason to believe it is the best available treatment at present, and the most likely to work.